-- Ready to ship -- ON SALE! 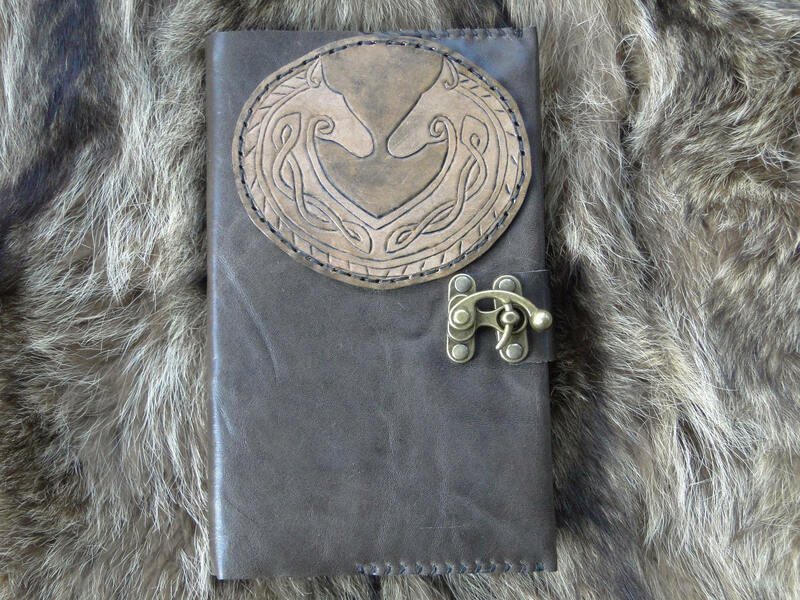 Artisan handcrafted high quality leather journals! 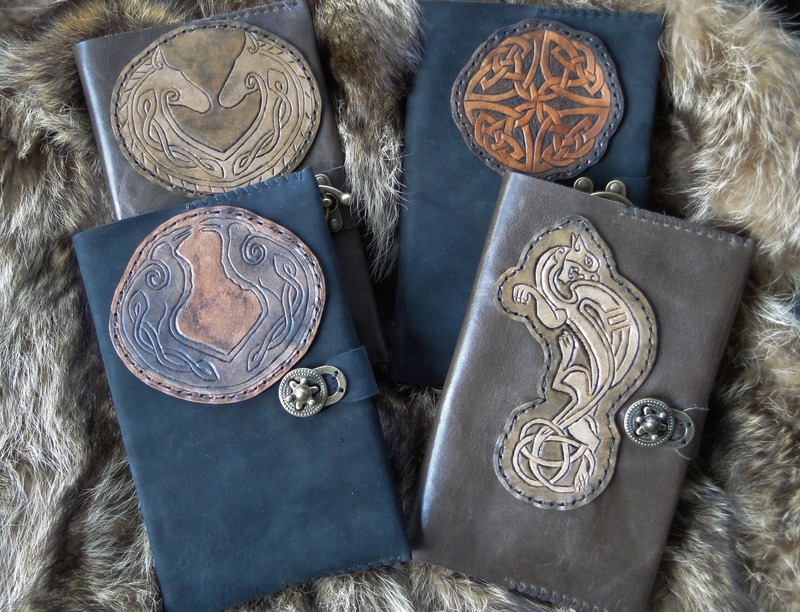 Featuring Celtic designs, which have been tooled into the leather, finished with eco friendly products, in old world colors. 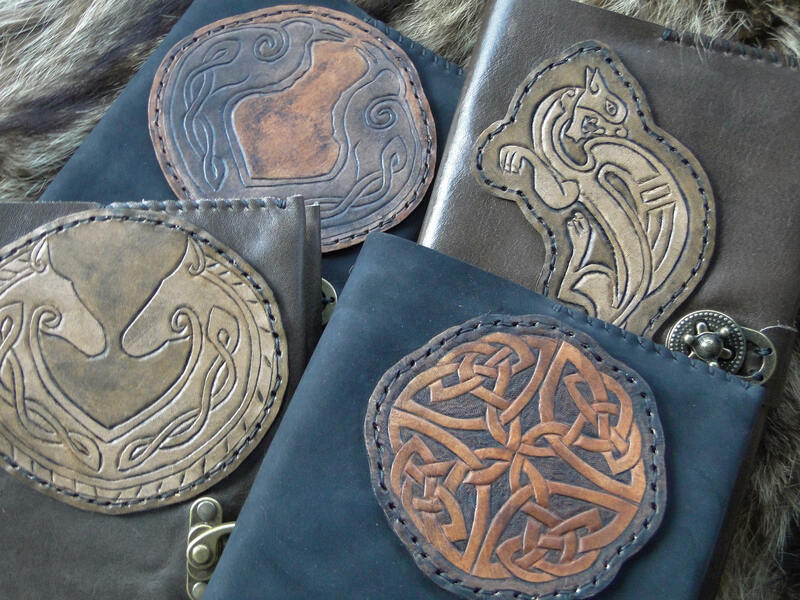 These are great for a Medieval / history loving writer or artist. 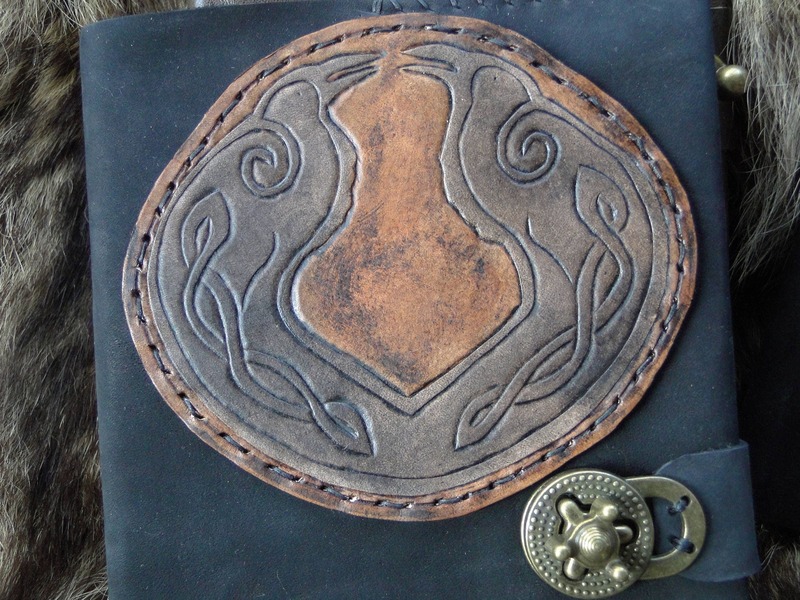 Refillable - which means the leather cover can be used again and again. 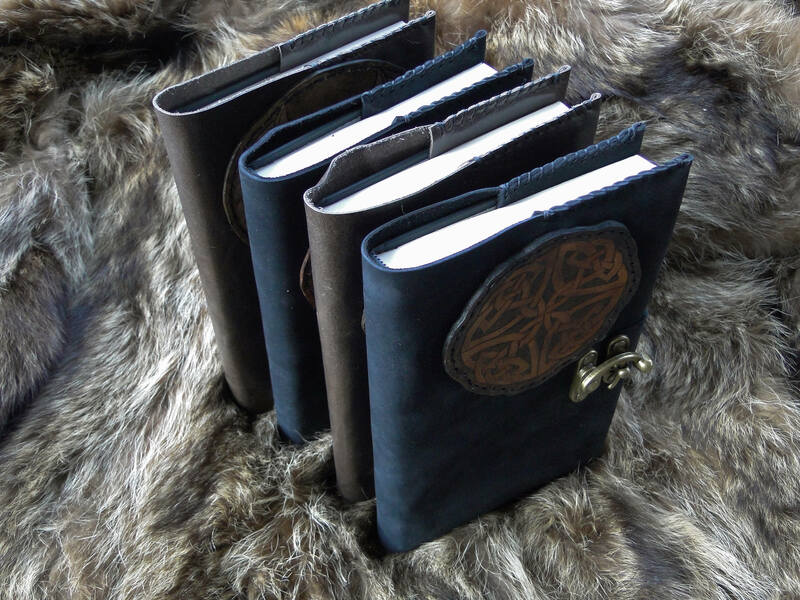 They fit standard 5.5" x 8.5" journals (one is included with your purchase as well). 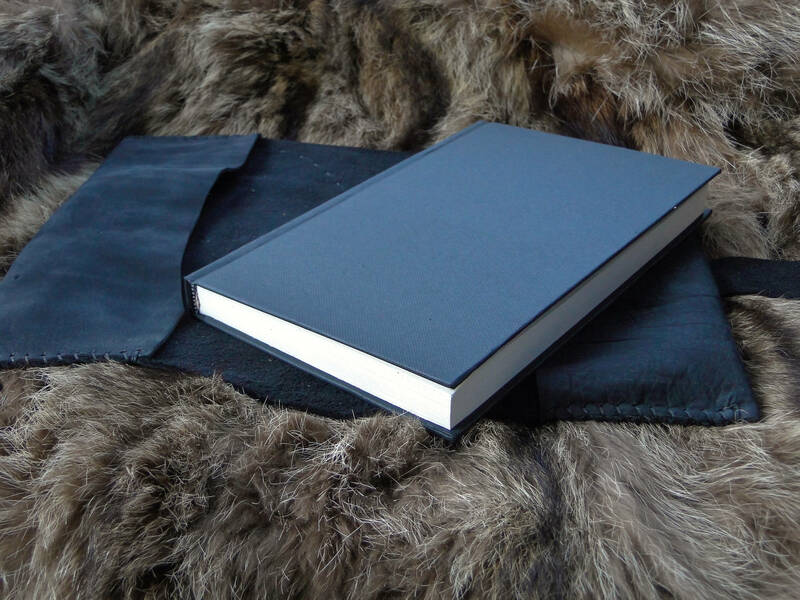 Made with genuine cowhide leather, books stay securely closed with antique brass clasps. See all pictures! More colors & designs may be available by request, contact us with your ideas. 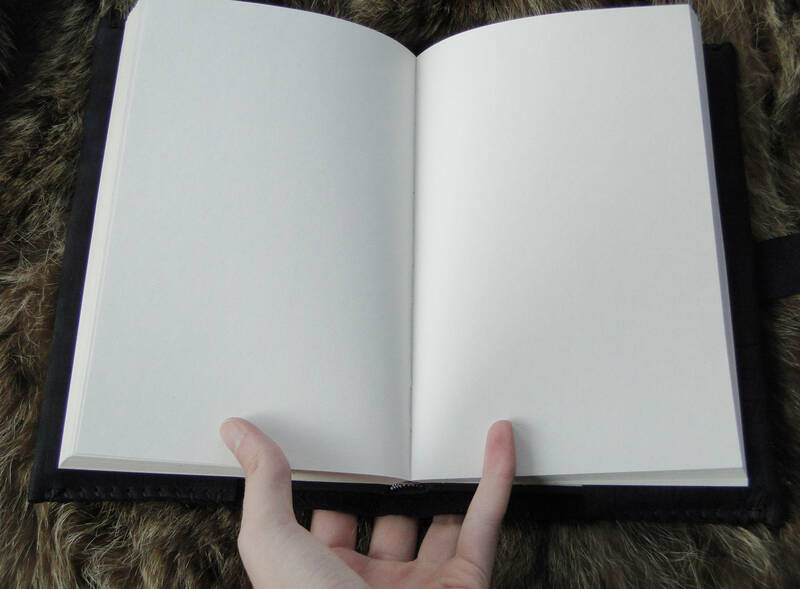 >> Journal insert is hardback, 108 blank pages, 65 lb acid free paper. 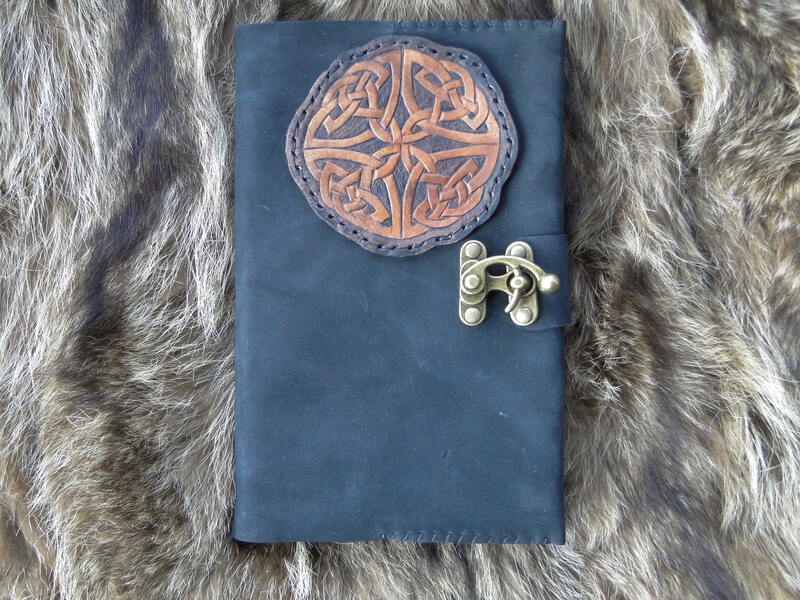 See our full selection of leather journals in our shop! 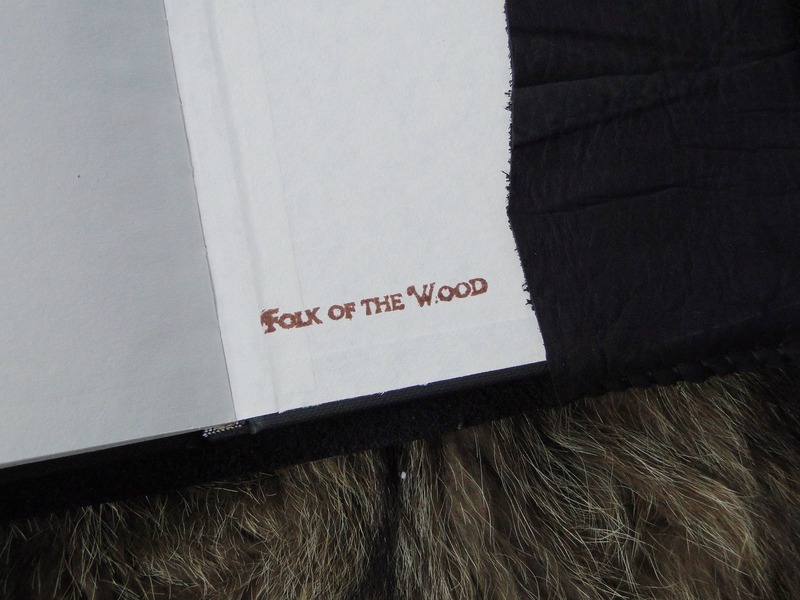 The item is absolutely gorgeous, craftsmanship is top notch and FolkOfTheWood really went above and beyond. 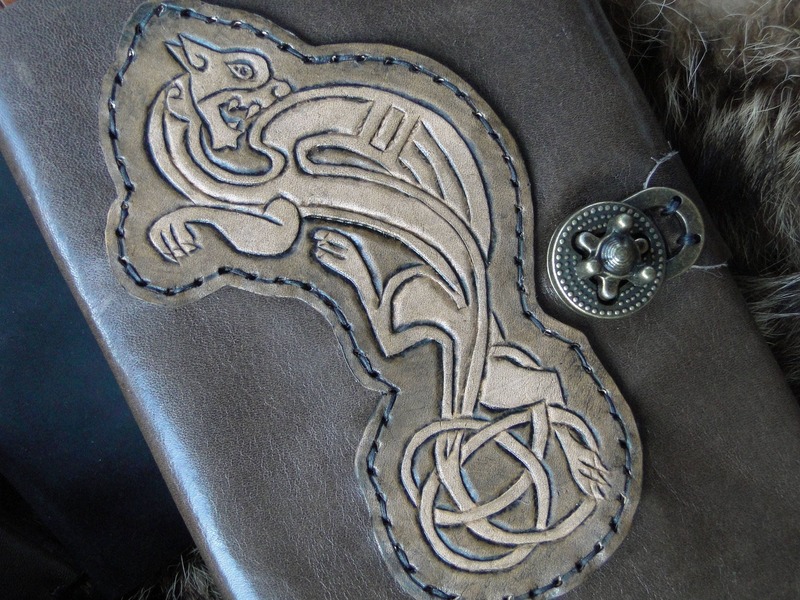 They were very accommodating to a special request I had and the item shipped quickly and arrived within just a couple of days. Went over wonderfully on Christmas, thank you so much!